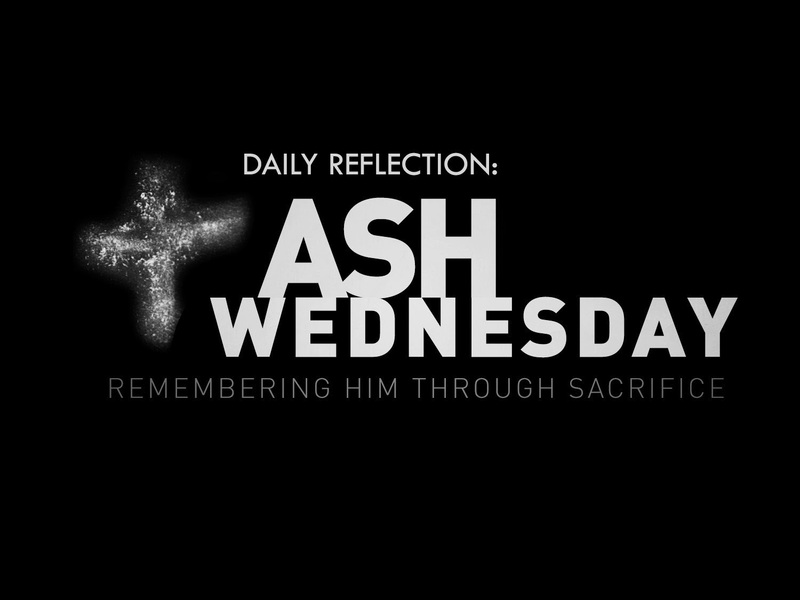 During Lent, we will be posting a daily reflection or video from a variety of sources. We will be using two different sources per day, one on the website and a different source on our Facebook page. Today's website reflection is from Chris Stefanick at Real Life Catholic. Lent kicks off with the perfect Gospel: Matthew 6:1-6; 16-18. Jesus lays out for us that an authentic spiritual life isn’t just about going through the motions. It starts with creating an interior space where you can meet God in the “chapel” of your heart. Many people today don’t develop a spiritual life because their lives are too noisy. Our longing for the spiritual and searching for God is part of who we are. Yet, religious practice is dying for most of us. We’re losing touch with God. But that’s only because we've lost touch with ourselves, with our own hearts, and with our longing for a love, peace, joy, and glory that are greater than this world. But when we make time for silence, and for quiet prayer, reflection, and fasting, we begin to recognize what mankind has known throughout history: that we are looking for “something more.” Something greater than us, and something greater than the world. Our own hearts’ longings are drowned out by the “noise” of a culture inundated with passing news, social networking, and countless to do’s. We lose touch with our longing for deeper things by filling our lives with lesser things. Take some time for silence. Carve out a single day each week this Lent (try Sunday) where you “unplug” from your devices, turn off the TV, make the kids turn in their phones, and create some time for silence. Let's do it with him." Today's Facebook reflection is a video from Fr. Leo Patalinghug. If you'd like to follow along on our Facebook journey, you can find us at www.facebook.com/cathedralwinona . If you'd like more from Father Leo, you can sign up for daily video reflections during Lent at www.redeemedonline.com .